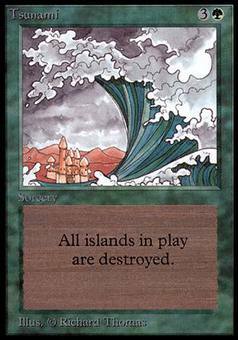 Wall of Stone ($617.75) Price History from major stores - Alpha - MTGPrice.com Values for Ebay, Amazon and hobby stores! 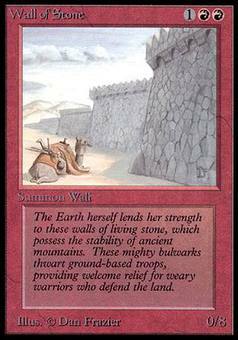 Flavor Text: The Earth herself lends her strength to these walls of living stone, which possess the stability of ancient mountains. These mighty bulwarks thwart ground-based troops, providing welcome relief for weary warriors who defend the land.